I scream, you scream, we all scream for…Snow. Well, that’s not exactly how the saying goes, but when the small, white, fluffy snowflakes started falling from the sky my kids started screaming. 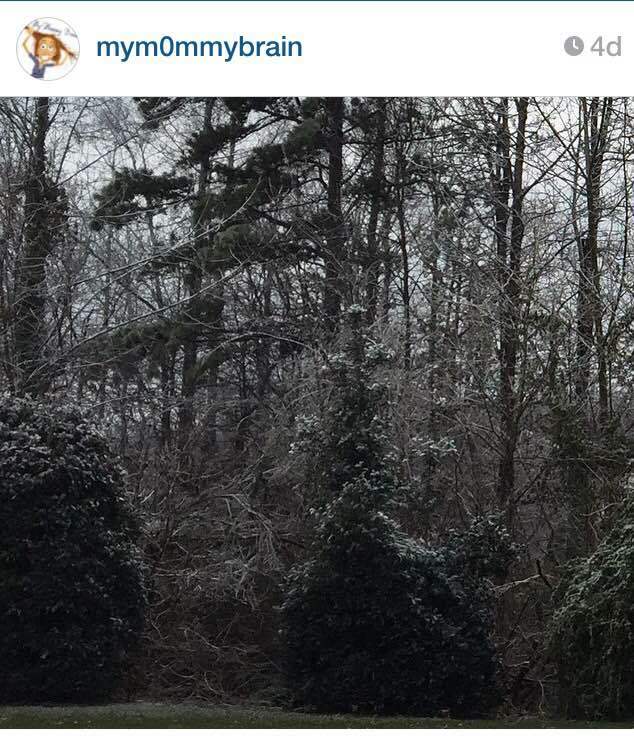 We don’t get much snow here in North Carolina so when the white stuff starts falling, it’s a big deal. It’s such a big deal that when the snow hits the ground, everything closes down. The kids missed four days of school this week due to the inclement weather. Another reason for the screaming (me and the kids). Although handling snow may not be our specialty in the South, we know how to have a good time regardless of the circumstances. 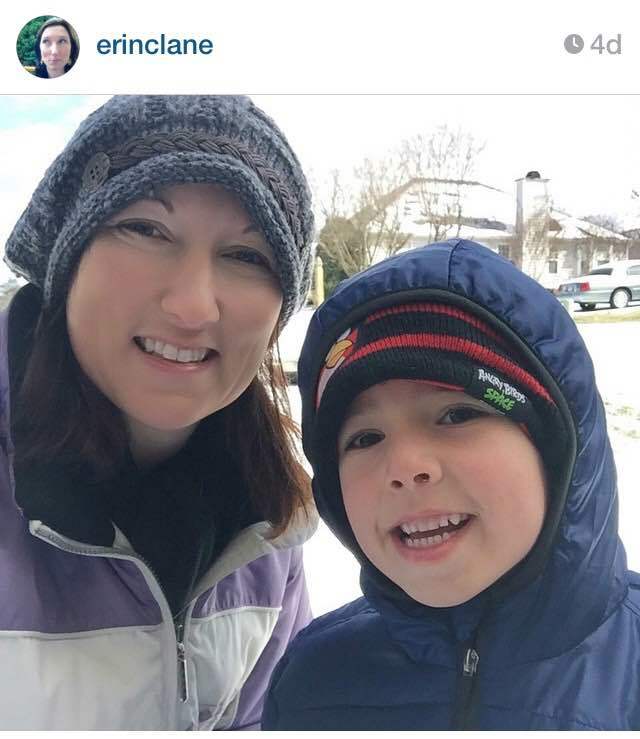 I held a fun Instagram contest this week to encourage families to post and tag (#snowfittrianglemom) their snow day pictures, and the winner received a coupon pack to be used at a Triangle Area Dairy Queen. 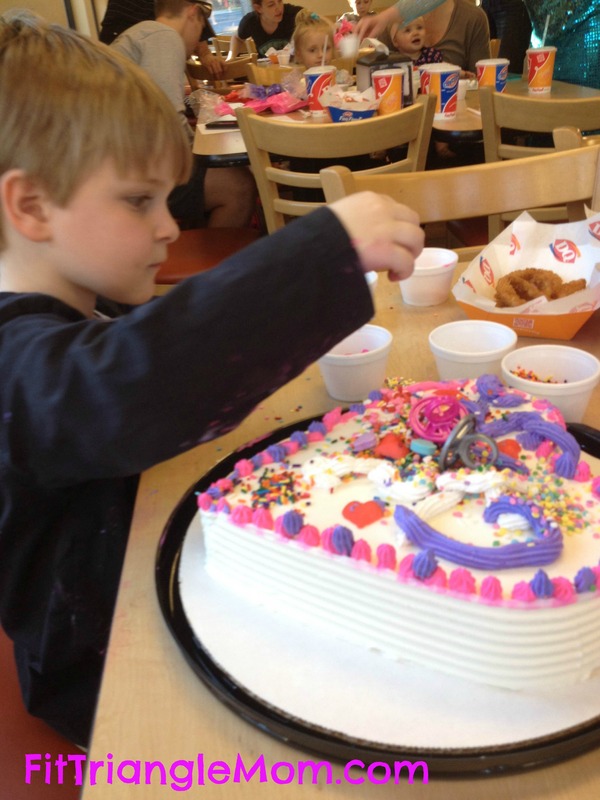 No matter the weather, Dairy Queen is the perfect place to take the family for good food and of course Ice Cream! 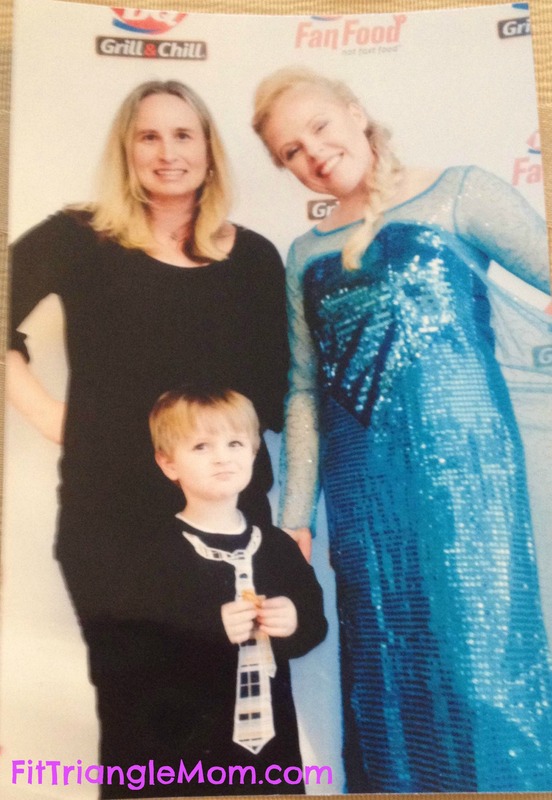 For Valentine’s Day, my youngest son, Liam and I were treated to a Frozen party. They literally rolled out the red carpet for us as we were greeted by Queen Elsa, herself. Liam was a bit unsure about pictures at first, so we warmed our bellies with chicken tenders and onion rings (the way to a kid’s heart). The party got started when they brought out ice cream cakes for the kids to decorate. 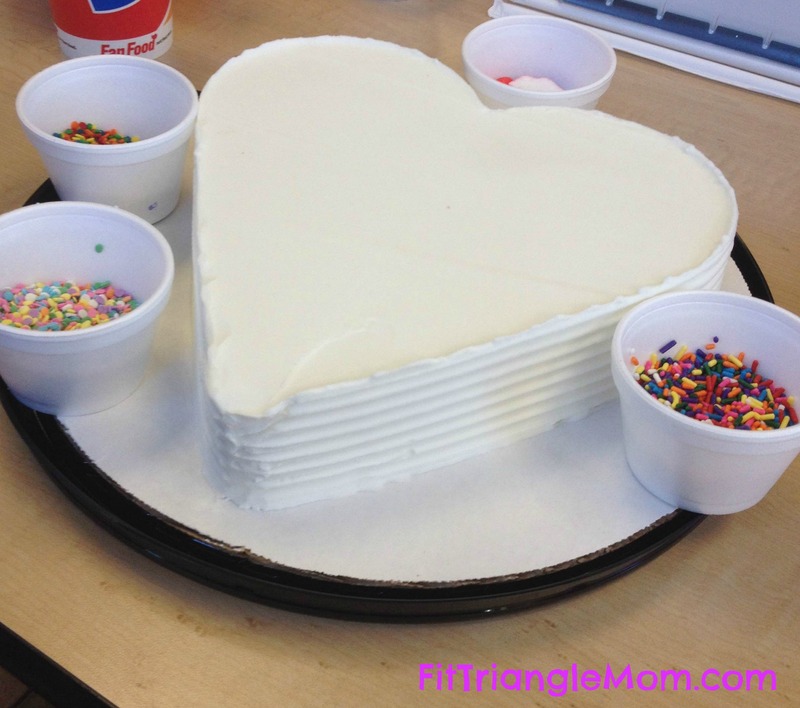 Each child received a heart shaped ice cream cake, three different colors of icing, and an assortment of toppings- sprinkles, hearts, and even rings. While I piped icing around the edges of the cake, Liam decorated the top with a colorful assortment of heart candy and sprinkles. Liam tried his hand at piping too, and filled in any blank spot on the top. Together, we turned this blank canvas into a masterpiece. Liam beamed with pride as Elsa and the other adults complimented his creation. After decorating, we enjoyed nibbling on another ice cream cake (ours was saved to take home). I was delightfully surprised to find the vanilla ice cream cake had a hidden layer of chocolate, fudge and crunchy goodness, and this was just one of the many cake flavors Dairy Queen offers. 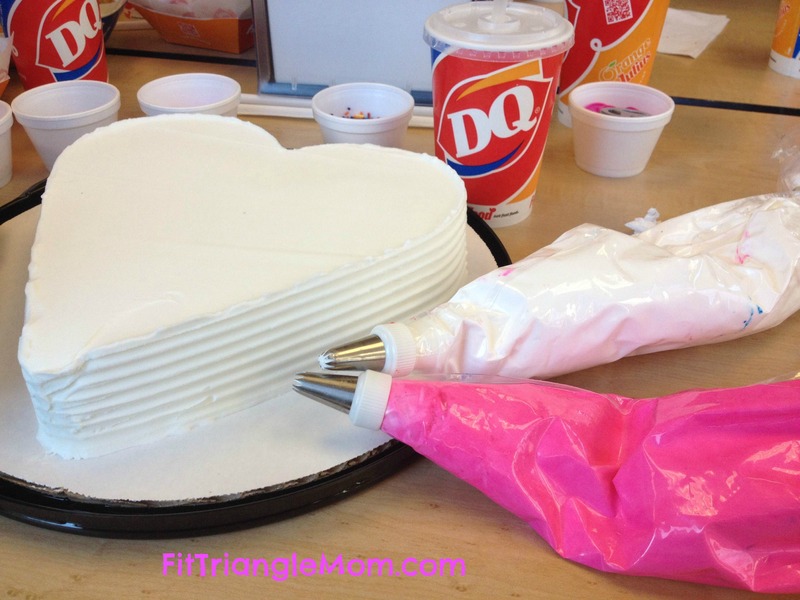 Although this was a media event, I was happy to learn that Triangle Diary Queen‘s offer this same service for birthday parties (ice cream cupcakes to decorate), School Spirit Nights (a percentage of sales to benefit the school), or just a casual meal or dessert with the family. Owner/Operator, Andrew Valkanoff spoke excitedly about his love for the Dairy Queen brand and his vision for his three Triangle area stores (Morrisville, Cary and Raleigh). Building an exciting work environment, creating “world class” customer service and a “picture perfect” product, and giving back to the community. I loved hearing about Valkanoff’s passion to “give back” and their continued commitment to support Duke Children’s Hospital and other local charitable organizations. I remember visiting the local Dairy Queen near my house in Gastonia as a kid. It wasn’t a fancy Dairy Queen Chill & Grill like the one near my house today, but it provided tasty treats and fond memories. I’m glad that after 75 years of Dairy Queen opening its doors; I can share this wonderful treat with my kids today. What’s your favorite ice cream treat from Dairy Queen? 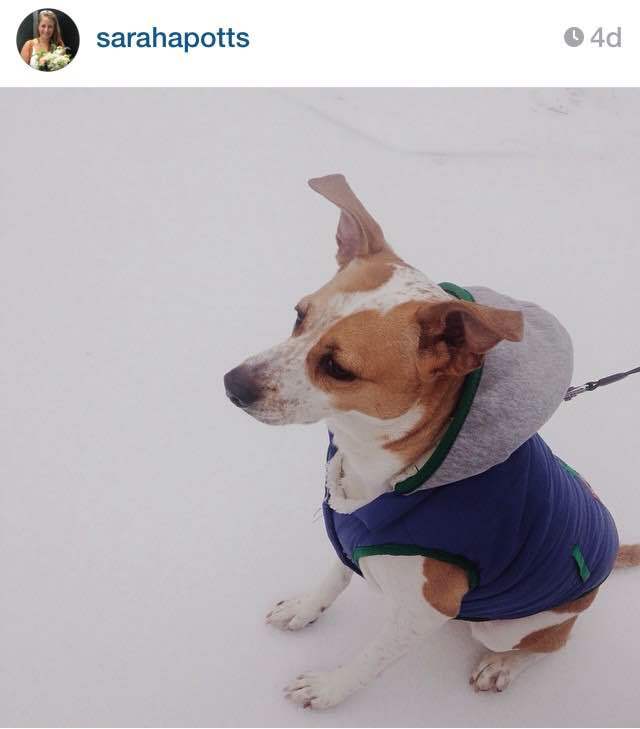 We have had 14″of snow since Monday!!! But now I am needing to venture out and get a DQ blizzard! We didn’t have that much snow. I love Blizzards with many yummy flavors to choose from too! I can’t believe how cold it has been. I didn’t get one fun in the snow picture because I stayed inside. 🙂 Terrible mom. I saw you playing though. We had one really fun day of sledding before it got too cold to go outside. I haven’t had a DQ cake in so long. What a fun day and love your son’s shirt with a tie. Thanks for sharing with Small Victories Sunday linkup. Pinned to our linkup board. It was a fun event. Liam’s shirt was covered in frosting when we were finished. Thankfully, the staff brought us a warm washcloth to clean him up. Great service too.